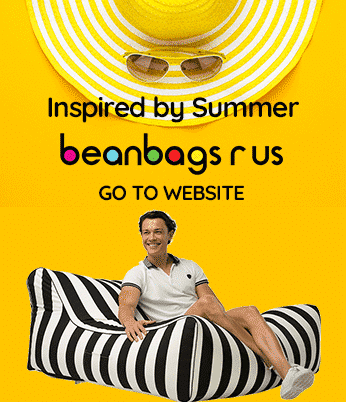 Bean Bags R Us NewsBean BagsWhy are Orange BeanBags so important to Clarkson? Why are Orange BeanBags so important to Clarkson? Only one month after being fired from his job as the host of BBC’s runaway hit Top Gear, Jeremy Clarkson is back in the news. The Daily Mail obtained an extensive list of items, he and the other hosts demanded while filming. The requirements on the list range from luxurious to odd. And include more than 20 bottles of expensive wine and two dozen bottles of beer served on tables with linen tablecloths and orange bean bags nearby for lounging during breaks. Even though Clarkson was offered a spot as guest host of the BBC1 quiz show Have I Got News for You, he has declined to prefer to draw the spotlight away from his scandalous firing. This attempt, however, brings him right back into the public eye in a very unfavourable manner. Clarkson was fired from Top Gear shortly after he lost his temper and struck producer Oisin Tymon because he was not given a hot meal at the end of a day’s filming. The attack was both physical and verbal, and it was said to continue for a full 30 seconds. He was reportedly yelling and cursing so loudly that people in other rooms could hear him. After the attack, Tymon was sent to a nearby hospital to be examined, and police began an investigation, but ultimately, the producer decided that he would not be pressing charges. Tymon, however, seems to have gotten some small amount of vengeance by revealing this list of demands to the press. Among the most notable items in the three-page catalogue are beverages and machines to make drinks on the set or in the green room. In addition to the Peroni mentioned above the list includes a Nespresso coffee machine with an attachment for frothing steamed milk. It also details more than 20 bottles of expensive wine, such as Cloudy Bay Pinot Noir and Sauvignon Blanc from New Zealand. As well as Veuve Clicquot champagne and Chateau Leoube rosé or an equivalent that is pale, dry and preferably from the southern regions of France. Other beverages on the list are ginger beer in 12 small bottles, several different types of Coke, assorted flavours of Red Bull and sparkling water. In addition to the beverages, several demands were made regarding how they are to be stored and served. For instance, the gin must be kept chilled in a refrigerator or a cabinet-style cooler with a minimum of four shelves, and ice and lemon were asked to be available at all times. The catalogue also states that orange bean bags and a sofa with enough room to seat five people while another man who is 6 feet, 3 inches tall lies down must be present. The catalogue mentioned approximately 120 items required in the green room during production, which was used for breaks while airing Top Gear Live from various areas in the UK and around the world. These rooms are usually the size of a hotel suite. The least of the items required in the green room, while very specific, are nondescript: Dove deodorant, balsamic vinegar and hair wax. Other things are quite humorous when considered as a whole: clean rubbish bins, soft lighting and an assortment of green plants, including bamboo. If the room does not have carpeting, then Clarkson insists that rugs be available, and it must have a TV with a high-quality speaker system, sports and movies from Sky TV and a selection of DVDs. The names of the DVDs required to be in the room are on the list. Among them are Miami Vice, The Hangover Part III, Butch Cassidy and the Sundance Kid, Blood Diamond, Closer to the Edge and several James Bond films. The video entertainment did not stop with movies and sports. A PlayStation 3 with Call of Duty and two controllers also had to be connected to the TV. 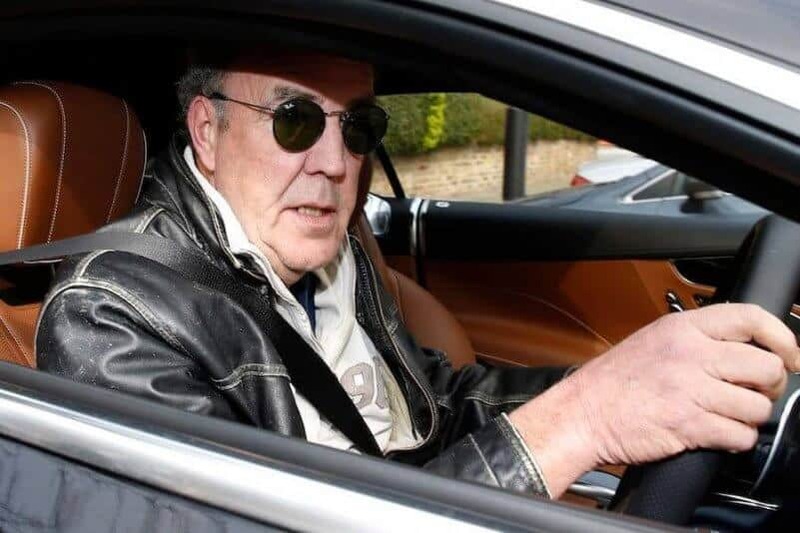 Because Clarkson is a smoker, the list includes a carton of Marlboro Light cigarettes, which is his usual brand, but he also asked that several packs of Camel and Marlboro Menthol Light cigarettes be delivered. One of the most notable demands is that the green room must be located near a McDonald’s because, inevitably, someone on the staff will want to place an order. To relocate the green room so that it is close to McDonald’s may be particularly difficult. Usually, the green room is part of the arena, which means some venues could not be used because there was simply no McDonald’s nearby. Lunch, hot snacks and evening meals are also to be provided every day during the live events and rehearsals, and they must include items such as “pies, jacket potatoes, pasta and prawn cocktail.” Other snack foods on the list are cheese boards, crackers, honey, jam, peanut butter and marmite. Several healthy options, including chicken Caesar salad, Greek salad and a fruit bowl have to be available. But at least one of the presenters apparently has a sweet tooth because of the catalogue names several candies, such as Jelly Babies. The list also states that all food and beverages are expected to be present on tables, and if the tables are not in good condition, they must be covered with linen tablecloths. While steak knives are on the list, there is no mention of any actual steaks. After receiving the catalogue from Tymon, the BBC did its due diligence in attempting to prove its authenticity. Attempts were made to contact Emma Stonier, one of the directors of the show, but she was unavailable, and another director, Rebecca Banks, declined to comment after being shown the list. During the investigation, reporters discovered that the rider was written by R: Evolution Communications and Events, a PR firm representing the hosts.